June 20, 2013  Investors have been nervous about the Federal Reserve's intentions after hints that it might reduce its massive bond buying program. Amid volatile markets, traders and investors complained they wanted more clarity. Chairman Ben Bernanke obliged on Wednesday after a regular two-day meeting of Fed policymakers. June 19, 2013  Federal Reserve policymakers say the economy is doing slightly better than it was last fall, but the Fed's $85 billion per month stimulus program will continue for the time being. Speaking at news conference in Washington, D.C., Chairman Ben Bernanke indicated the Fed might begin tapering the stimulus program later this year. The Fed repeated earlier statements that it would hold short-term interest rates near zero until the jobless rate reaches 6.5 percent as long as inflation remains in check. Is Obamacare Hurting Hiring By Small Businesses? June 6, 2013  The Affordable Care Act, which has become known as Obamacare, will require small businesses with 50 or more employees to offer health care coverage to their workers. Some have suggested that could be discouraging hiring by small businesses. When Will Fed Officials Ease Off The Accelerator? May 23, 2013  Federal Reserve chairman Ben Bernanke told Congress Wednesday that the central bank is not ready to scale back on economic stimulus. But he suggested the Fed may start to pare back bond purchases if the economy picks up momentum. Stocks fell following Bernanke's remarks. May 22, 2013  Over the past several years, the Federal Reserve has added trillions of dollars to its balance sheet, purchasing bonds in order to stimulate the economy. Many investors have been concerned that when the Fed starts selling off those bonds it could create turmoil in the markets. But in congressional testimony Wednesday, Fed Chief Ben Bernanke said the Fed might not sell off those bonds at all. May 21, 2013  Apple CEO Tim Cook faced tough questions on Capitol Hill on Tuesday. 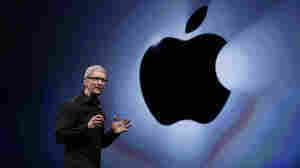 He defended a tax strategy that allows Apple to avoid taxes on tens of billions of dollars of profits. Cook also called on the Congress to lower the U.S. corporate tax rate. May 21, 2013  Tim Cook will address reports that his company pays billions less than it should in U.S. taxes each year at a Tuesday hearing in Washington. According to a report by the Senate Permanent Subcommittee on Investigations, Apple avoids the tax payments by shifting profits to subsidiaries in Ireland. May 17, 2013  On Thursday, President Obama named Daniel Werfel, 42, acting IRS commissioner. The announcement comes a day after the resignation of Steven Miller, who got caught up in the controversy over the IRS targeting Tea Party groups. May 16, 2013  Japan has embarked on a massive effort to stimulate its economy. Both the government and the central bank are collaborating to end a long period of stagnation and deflation. But the effects are also being felt outside Japan. Is A Smaller Budget Deficit A Lasting Trend? May 15, 2013  The Congressional Budget Office has sharply revised down the outlook for the federal budget deficit. Some temporary factors are being cited for the projected improvement. Keeping the deficit on a downward path may depend on the economy, analysts say. May 3, 2013  The stock market rallied on Friday after a better-than-expected jobs report. 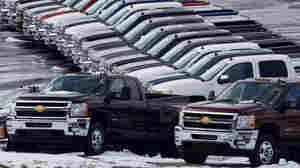 The Labor Department said employers added 165,000 jobs to payrolls in April. The unemployment rate ticked down to 7.5 percent. May 2, 2013  Healthy increases in construction and home sales are boosting things like sales of pickups and landscaping, which, in turn, lead to more hiring. 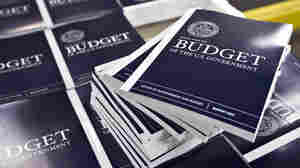 But federal budget cuts may undermine that momentum, economists say.